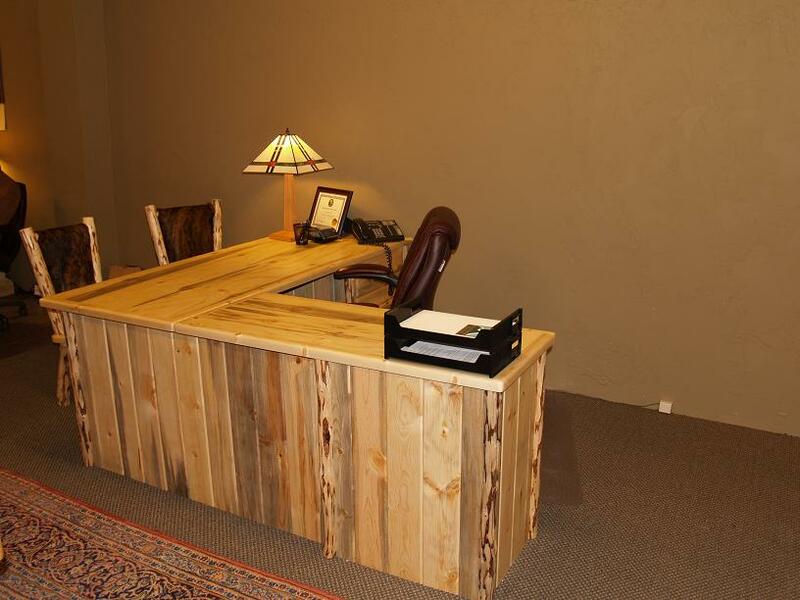 This executive desk is solid wood with just the right balance of log accents. Includes a right or left return, 36" pencil drawer, two storage drawers and three file drawers (one on desk two on return). Shown in skip peel with optional privacy panels (extra). Made 100% by our craftspeople in Montana from standing bug killed salvaged wood, the most environmentally sustainable furniture product possible. The Frontier line comes in our standard skip peel finish and for a little more you can get our clean peel or rustic bark finish. See our log furniture finishes. Custom staining is also an option, please inquire for specifics. 50% deposit required and balance due upon shipment. 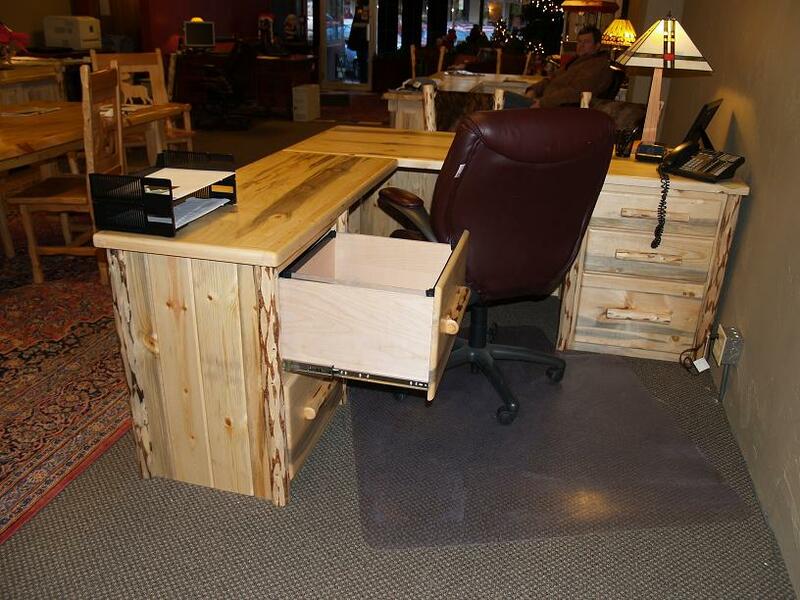 Log furniture items are shipped curbside via freight carrier, some smaller items can ship UPS or FedEx. 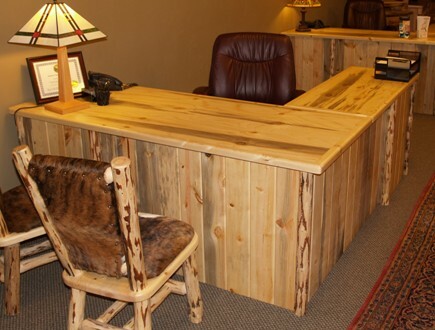 Our log furniture is built to order in most cases, lead time is generally around 4 weeks. Please inquire about expedited orders or specific shipping needs. Free standard shipping to contiguous 48 states, please inquire about quotes to Alaska, Hawaii and Canada. None available for this piece. Representative video for this furniture collection please click here.